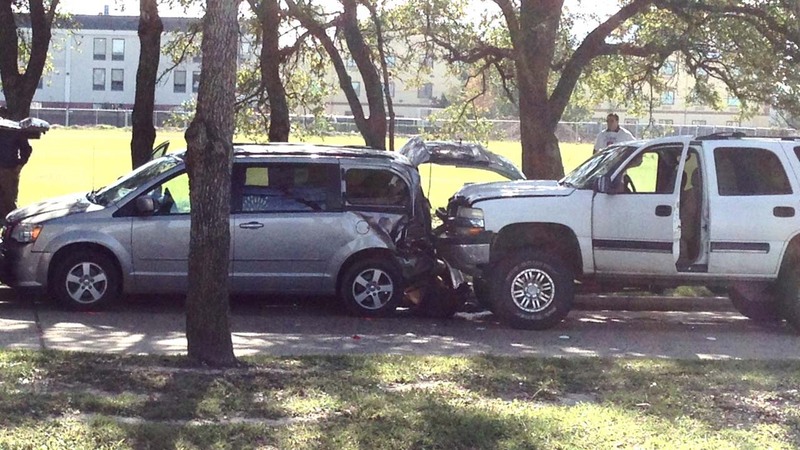 BAYTOWN, TX (KTRK) -- An elderly woman is in critical condition after she was hit by an SUV this morning in Baytown. Baytown police say she was hit from behind by a Chevrolet Tahoe in the 4900 block of Eastchase around 10:30am. Police say it all happened after the woman attended a dog training session with her pet. The woman was standing behind a van in a line of cars on the road when she was hit. Her dog was not hurt. The woman was flown to Memorial Hermann hospital. The driver of the Tahoe, a 38-year-old Cleveland man, is being treated at Houston Methodist San Jacinto Hospital for minor injuries. Police say there were no apparent signs of intoxication at the scene of the crash. The investigation is still going on at the scene in Baytown.